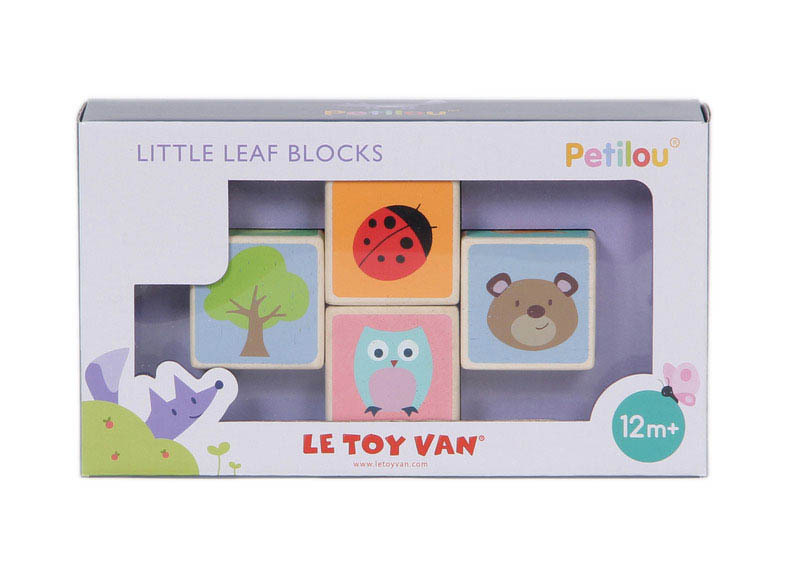 Baby wooden toys from Le Toy Van’s Petilou collection are pretty and tons of fun too for little ones, like this set of Little Leaf Blocks that feature cute animals and everyday objects. 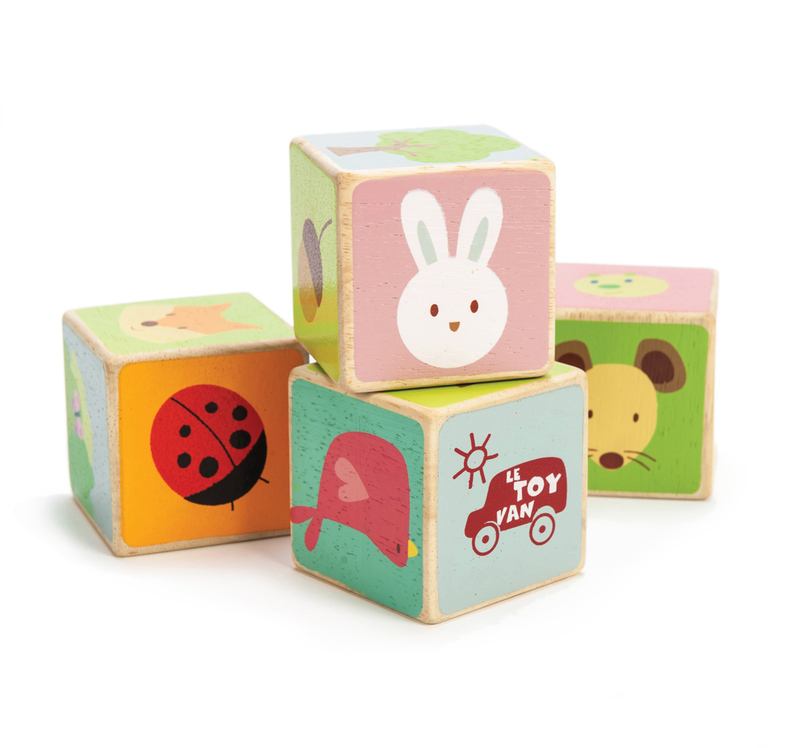 Beautifully painted with adorable animals and simple objects, the chunky wooden blocks are easy for small fingers and hands and suitable for 12 months and over. An innovative and enjoyable way to encourage babies and toddlers to explore, solve problems, recognize everyday objects and have fun with independent play. Also a great way to use this set of 4 blocks and help your toddler develop their hand-eye coordination and creativity, while laying the basis for future maths concepts. Sustainable wood and non-toxic paint.